Hotel needs some updating. Water stains on curtains and ceiling. Kitchen could use more dishes. Only had 1 plate no mixing bowls or cups. But was clean and we had a great time. Cheap, cheaper, cheapest! 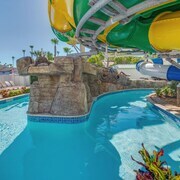 No matter what you want to do, we've got the best deals for your magnificent getaway in Indian Rocks Beach. Where is Indian Rocks Beach? It's a neighborhood of St. Petersburg - Clearwater. You'll discover it 10 miles west of the downtown area. If you can't help but be fascinated by creatures great and small, head to Suncoast Seabird Sanctuary. This unique attraction will entertain and educate. Say bye-bye to boredom by spending time at Treasure Island Fun Center. This fabulous place provides the ideal opportunity to get outdoors and get active. Step back in time when you visit Serenity Gardens Memorial Park. This age-old landmark is a great place to experience local history without needing to pay for entrance fees. Why not wake up early and go on a self-guided tour of the area's most frugal attractions? Be on the lookout for Sunsets at Pier 60. Even if you're not the church-going sort, Church of Scientology still offers an interesting insight into the area's religious convictions. You won't have to worry about an entry fee, but you should check the tour times before you make your way there. Over sightseeing? Plan an outing to Pier 60 Park, kick off your boots and breathe in some fresh air. Don't stress out about sifting through the web for the cheapest prices on hotels, travel and outstanding experiences. CheapTickets has got you covered, and we certainly haven't made compromises on quality and comfort. Think of all the cool things you could do with an extra $481. If you combine your airfare and hotel bookings, that's exactly how much you could save! And with access to 500 airlines and more than 500,000 properties around the world, you have loads of choice. We're not joking when we say we go out of our way to save you as much as possible. If you encounter a better price within 48 hours of booking your deal, we'll match that offer and give you back the difference. It's our Price Guarantee! It can be a challenge parting with your dosh; that's why we created our simple rewards program. Just for booking your flights, you'll have real savings to use toward your next qualifying CheapTickets hotel booking. You're so tantalizingly close to a membership with a loyalty club that actually gives you benefits you'll want to use! To start accruing savings on all eligible bookings, as well as unlocking special bonus offers and perks, all you need to do is join CheapCash after you sign up for free or log into your existing account — it couldn't be simpler to save! Low-cost and competitive — we know they're words you like to hear. 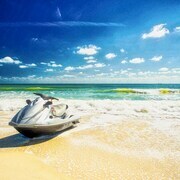 So, why not think about renting a car during your stay in Indian Rocks Beach? That way you needn't part with a small fortune on taxis. 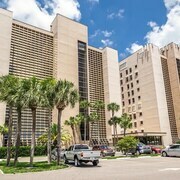 Many travelers hop off the plane and get their car within the Tampa International Airport area. Make your way to Thrifty Car Rental and Dollar Rent A Car. 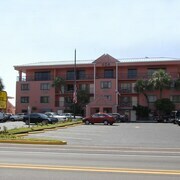 If you opt to rent a car in Indian Rocks Beach, you'll have to venture away from the center of the city. Journey to Pinellas Park, the home of Enterprise at 8501 49Th Street North. 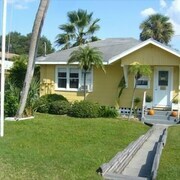 After a cheap place to stay in Indian Rocks Beach? 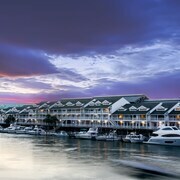 CheapTickets offers 6 accommodation options within easy reach of the center, along with the best deals! 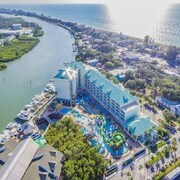 The Holiday Inn Hotel & Suites Clearwater Beach S-Harbourside and Luxury Homes by BeachTime Rentals Indian Rocks Beach are a few of the most well-known accommodations in this area.